Das Kapital, Karl Marx's masterwork, is the book that above all others formed the twentieth century. From Kapital sprung the economic and political systems that in our time dominated half the earth and for half a century kept the world on the brink of war. Even today, one billion Chinese remain in the power of the Marxist system. 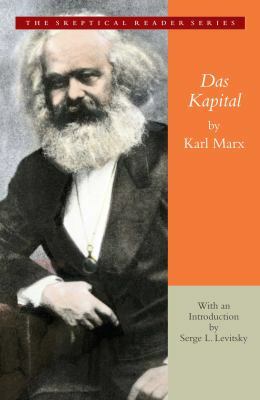 Yet this important and powerful work has been passed over by many readers frustrated by Marx's difficult style and his preoccupation with nineteenth-century events of little relevance to today's reader. Now Serge Levitsky presents a new revised version of this masterpiece, carefully retranslated for the modern reader and abridged to emphasize the political and philosophical core of Marx's work, while trimming away much that is now unimportant. Here then is a fresh and highly readable version of a work whose ideas have influenced the lives of nearly every person alive today.